We hope you find our product demos informative and helpful! Safe & Stable Picnic Tables! You will never experience tipping with a Premier Polysteel table! In this short video, our office staff is demonstrating that even if six crazy adults decide to pile on, the Premier Polysteel picnic table is stable enough to hold them all! Because our picnic tables are designed with safety in mind, they will not tip! While at the NRPA trade show we watched as two people sat down on one side of a competitor’s picnic table. Without the quick thinking and speedy movement of their sales person they would have tipped over. Has something like that every happened to you? Click here to view the complete line of picnic tables. We Offer a 20 Year Warranty! 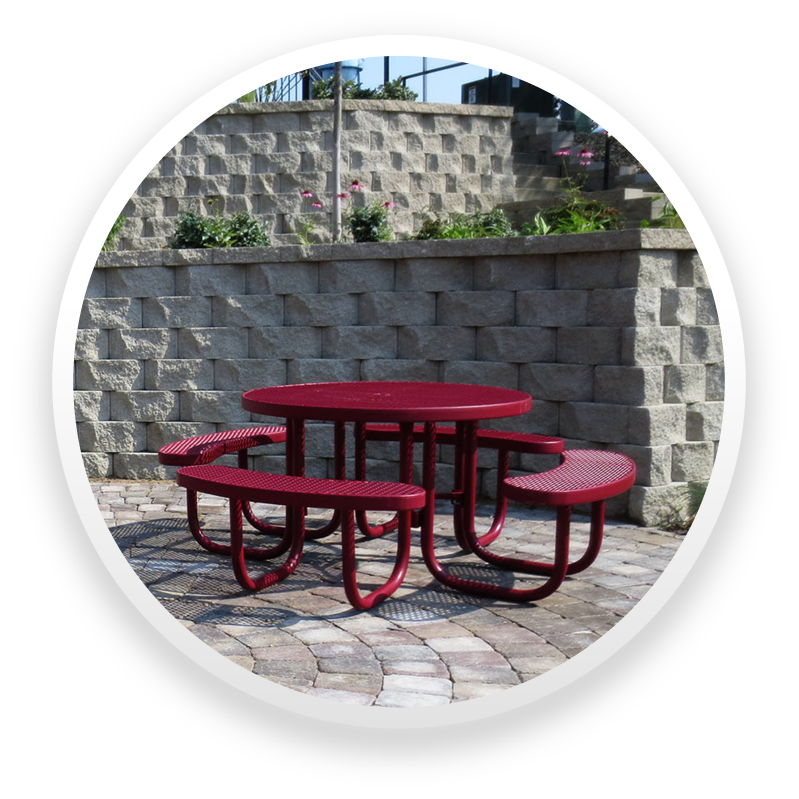 We are confident you will be pleased with the quality of Premier Polysteel commercial outdoor furniture. Heavy duty receptacles for all locations! Sizes include 22, 32, and 55 gallon. Thanks for viewing our product demos! If you have any questions or would like to talk with someone in sales, click here to contact us.